A search by Westwood Cross shopping centre to find a special Thanet family deserving of a magical Christmas has ended with a winner. Jo Karczewski, from Ramsgate, was voted into top place and was surprised yesterday (December 20) by Westwood Cross staff and close friend Suzy Bond. Westwood Cross received hundreds of nominations for families who are in need of an amazing Christmas treat this year. Jo, a nurse at Pilgrims Hospice, has had a particularly difficult year since being diagnosed with a grade four brain tumour in July. After weeks of radiotherapy treatment Jo is now focusing on planning her New Year wedding with her partner of four years. Jo was surprised with a £500 Westwood Cross gift card, a family ticket to Santa’s Grotto and a hamper bursting with treats from stores at the Thanet shopping centre. 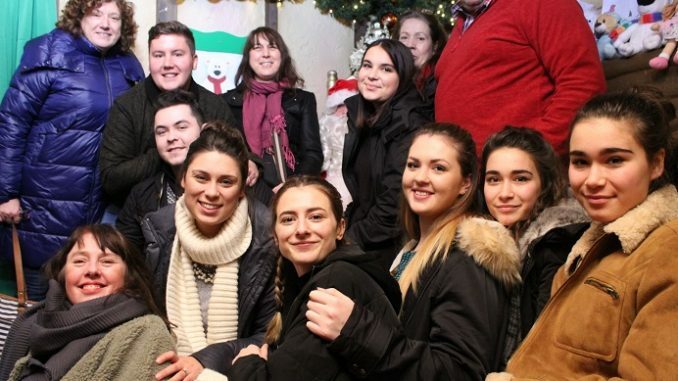 Francesca Donovan, centre manager at Westwood Cross, said: “We wanted to celebrate a special family in our local community and truly share the festive magic. Jo was selected from hundreds of entrants following a particularly tough year.